Villarreal vs Rayo Vallecano predictions for this Sunday’s relegation six-pointer in Spain’s La Liga. Read on for our free betting tips and predictions. This is a huge game at the bottom end of La Liga as two of the bottom four sides meet at the Ceramica. 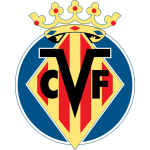 Villarreal have finally found a bit of form but they still have plenty of work to do if they are to avoid an unlikely relegation to the second tier. 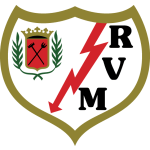 Meanwhile Rayo Vallecano could desperately do with a result this Sunday and failure to get one may spell the end for their coach Michel. He was rumoured to be on the brink of departing last weekend but an improved showing if not result away to Barcelona has seen him keep his job for now. Rayo though have lost 6 straight league games, the worst run in the division. Were they to lose again here against relegation rivals, the writing would surely be on the wall for Michel and Rayo would most likely have a new boss by the end of the upcoming international break. Villarreal’s re-appointment of Javi Calleja just 50 days on from his sacking surprised everyone but so far it does appear to be working out. Villarreal have won 5 and only lost 2 of their 10 games since Calleja came back. However most of those wins came in the Europa League and they remain in real danger in La Liga so it’s vital they make it 4 wins on the spin here in all competitions. Overall they look capable of doing that. Rayo really have lost their way and defensively they’ve never truly convinced this season. They’ve conceded 1.78 goals per game on average, the joint worst record in the division. Meanwhile at the other end, they’ve been very dependent on Real Madrid loanee Raul de Tomas for goals and even if they stay up, they will have a lot of work to do in the summer with the striker heading back across the Spanish capital to his parent club. This is a poor time to be playing Villarreal, who for basically the first time all season have some momentum to take into the game. They’d only once previously won back-to-back games this term prior to this current 3 game winning streak. Crucially their forwards have started delivering with big money summer signing Gerard Moreno netting twice in their last 3 games while Carlos Bacca has also picked up a bit. Against such a weak defence, backing Villarreal & Over 2.5 Goals could be worth considering here as they seek a win which would edge them clear of the drop-zone. Villarreal have lost two of their last four LaLiga games versus Rayo Vallecano (W1 D1), one more than they had in their previous 11 top-flight games against them (W8 D2). Rayo Vallecano have only won one of their seven LaLiga away games versus Villarreal (D1 L5), while they’ve yet to keep a clean sheet in this run. Rayo Vallecano won 5-1 away at Villarreal in LaLiga in September 2000, which remains their biggest every away victory in the top-flight. Villarreal have scored at least once in their last 10 LaLiga home games (W2 D5 L3), their best home streak since January 2016 (12 consecutive games). After winning 2-0 at the Ciutat De Valencia last time out, Villarreal are looking to record back-to-back league victories for the first time since May 2018 (a run of three). Rayo Vallecano haven’t picked up any points from their last 18 available in LaLiga – they had taken 13 of a possible 15 prior to this. Villarreal have scored a league-high 72% of their goals in the second half this season (21 out of 29). Only Barcelona’s Lionel Messi (six) has scored more goals from outside the box than Rayo Vallecano’s Raúl de Tomás (four) in LaLiga this season. Villarreal striker Carlos Bacca has scored three goals in his four league appearances versus Rayo Vallecano. Villarreal manager Javi Calleja is unbeaten in his five home games versus Madrilean teams in LaLiga (W3 D2), with his team scoring at least once on each occasion.